Technology innovations are moving at an incredible pace today. There are some major trends that indicate we are headed into a zero latency future. This future entails machines and devices (hardware plus software) interacting with humans or other machines in less than a second. In fact, more and more use cases like autonomous driving and instant face recognition already require machines to react and interact in less than second. When you talk to Alexa or Google Home today, the device often responds in less than a second, but it could be even faster. And, now we are poised at a stage where a number of technology trends are coming together to make the zero latency future a reality. These trends not only have an impact on big and small organizations, they also touch a majority of consumers across the globe. While some of these trends pose incredible opportunities others raise challenges that need to be overcome. From trends in computer and software architecture to new developments in data and how applications are being developed, there are indications to suggest that we may be at the cusp of the next big leap in the world of technology and accelerating the dawn of the zero latency future. 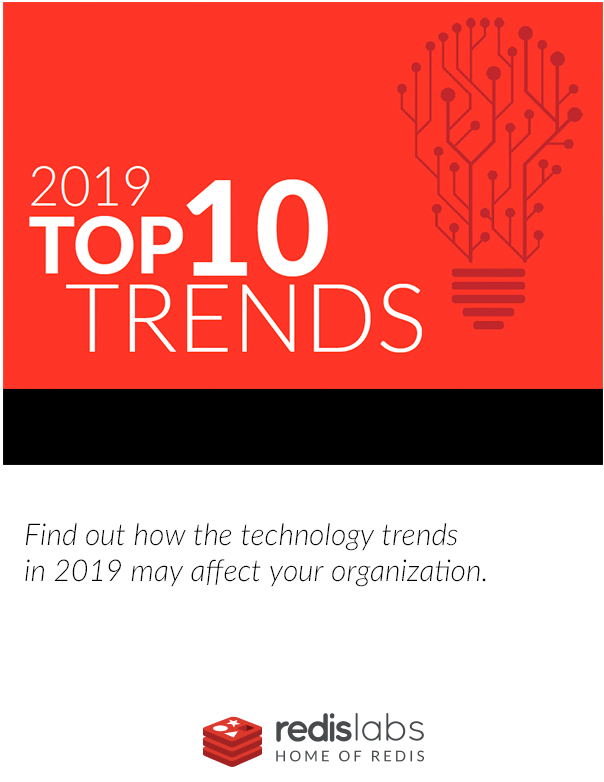 Download the eBook to understand the hardware trends, software architecture trends (Microservices and serverless architecture, for example), and data trends that will likely affect organizations of all kinds in one way or another. In addition to all the hardware, software and data trends coming together, we are also seeing more and more organizations looking at multi-cloud deployments to overcome vendor lock-in and provide more flexibility around deploying applications at scale. This is being spurred by the growth of microservices architecture and deployment and orchestration platform tools like Kubernetes. On top of all of this, a number of organizations are adopting artificial intelligence and machine learning that typically relies heavily on learning from existing data. There are some challenges with this around bias and data privacy issues that organizations need to overcome as Artificial Intelligence and machine learning slowly evolves from technology hype phase to maturity and adoption. Are we at the point in the technology evolution curve where devices can truly become zero latency and how will they affect organizations as well as individual consumers? Download the eBook to find out more.